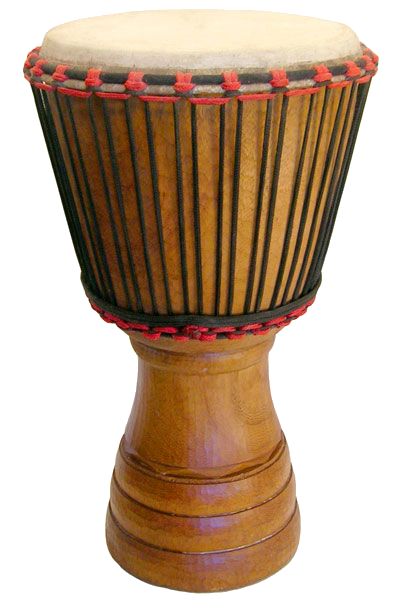 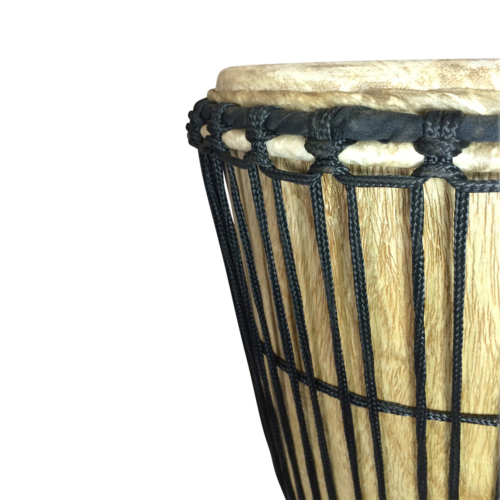 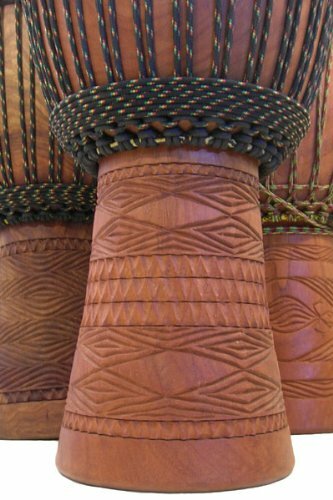 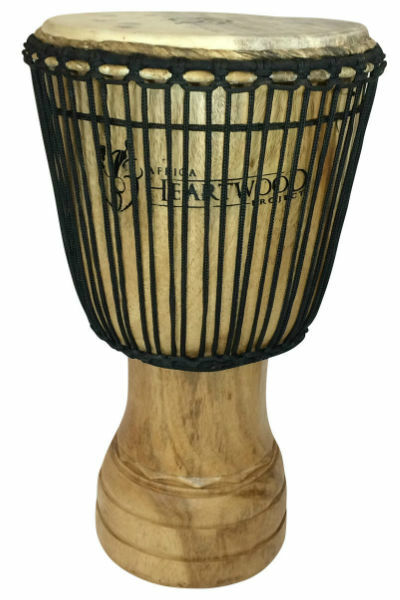 The Classic Heartwood Djembe drums are the best selling drums from Africa Heartwood Project, and represent the finest Ghanaian-made djembes available. With the largest selection of sizes and carving styles – from the kinder-size 8×16 to the oversize 14×25 – there is a Classic Heartwood Djembe to fit every intermediate drummer. 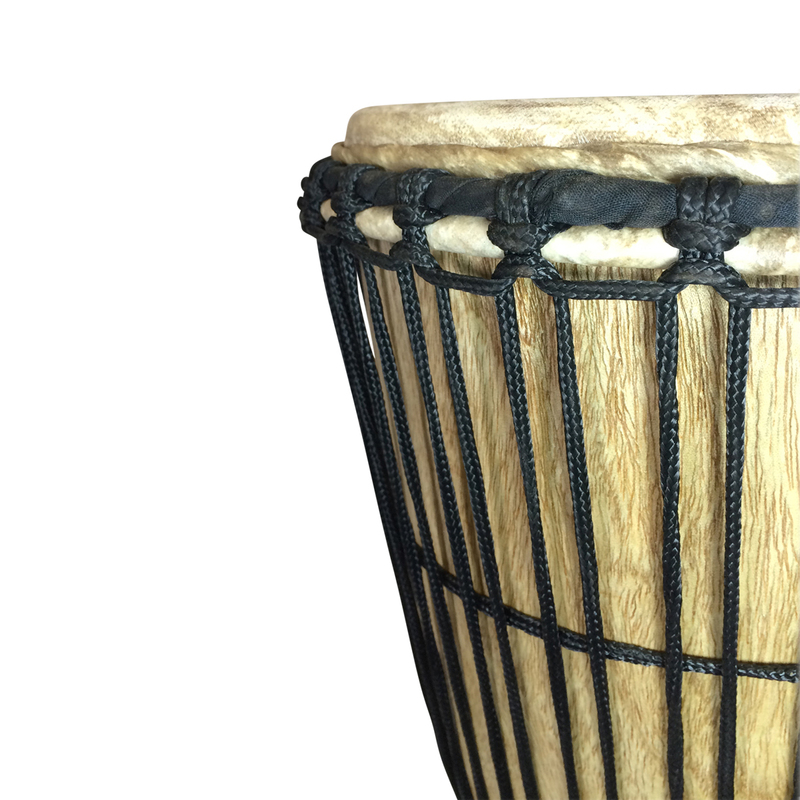 These djembes lead the way in solid-wood Ghanaian djembes for drum students, recreational drummers, and schools. 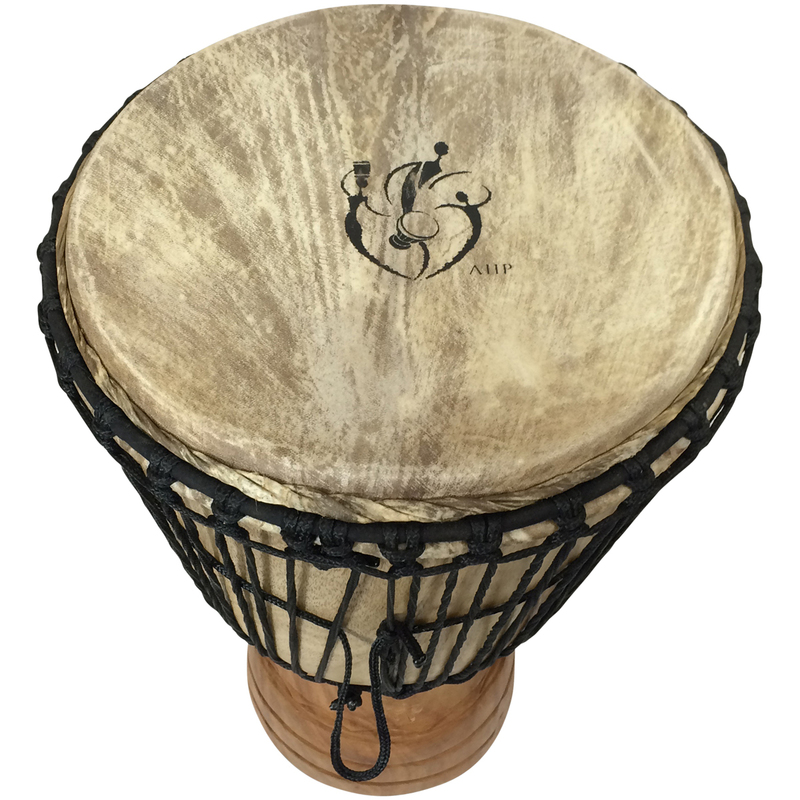 The Classic Heartwood Djembes from Africa Heartwood Project are consistently our best-selling drums. 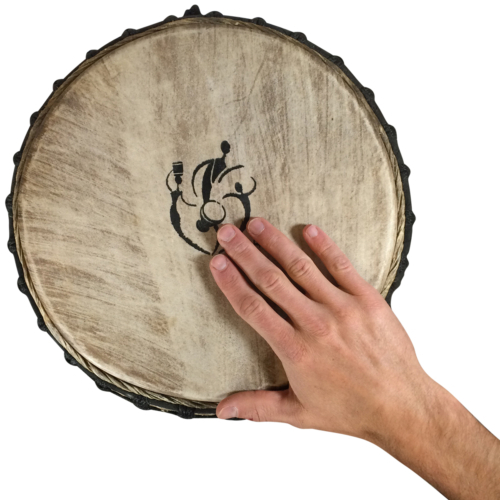 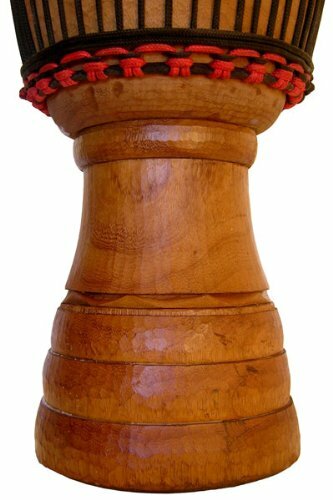 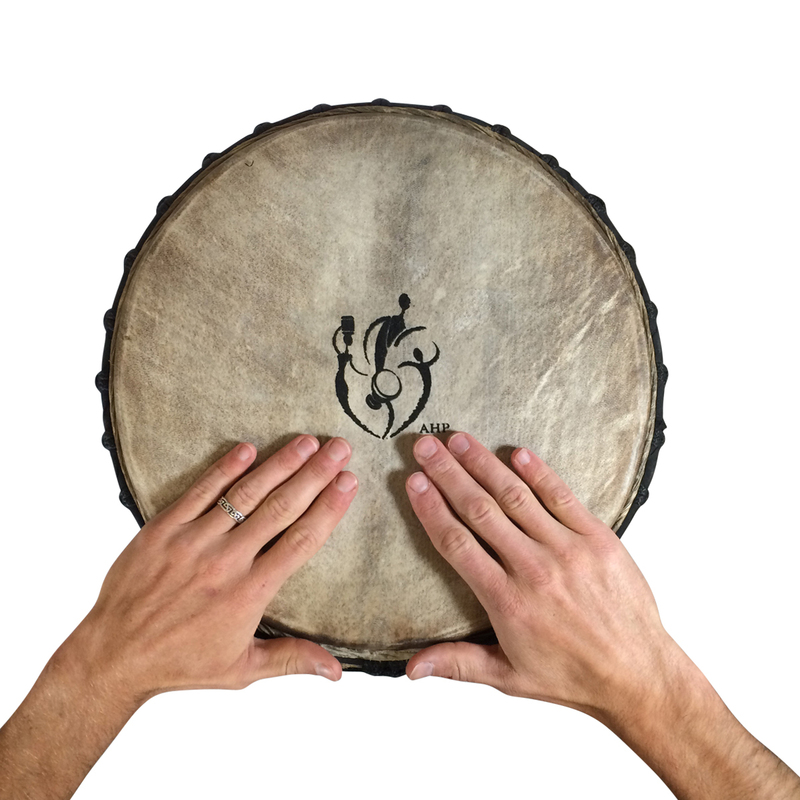 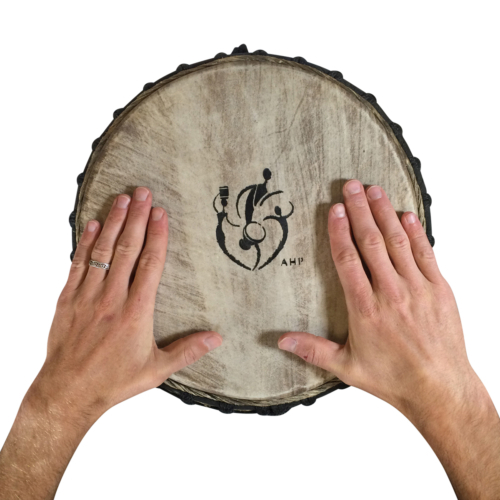 The Classic Heartwood Djembe drum is a well-built, musical-grade instrument, built for the beginner or intermediate djembe drummer. 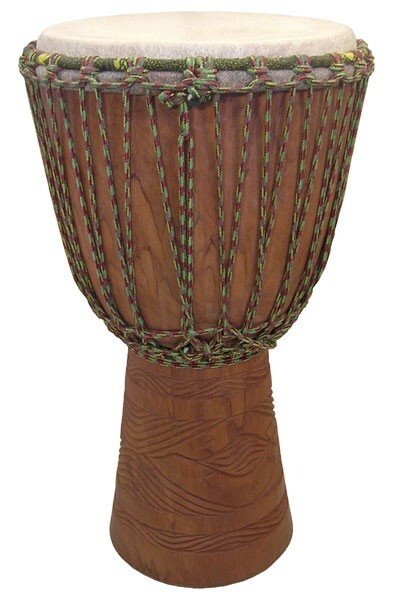 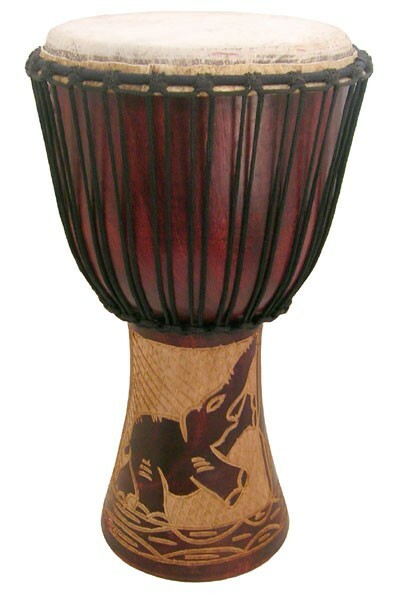 This djembe would be a good choice for the drummer intending to take lessons or study djembe technique. 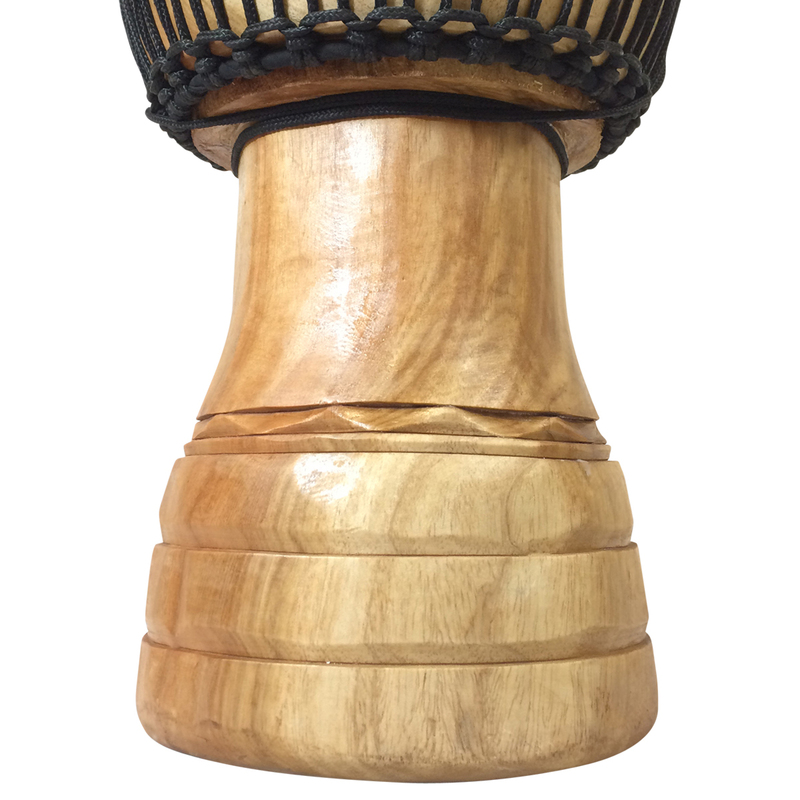 Africa Heartwood Project djembes are hand-carved by experienced drum makers in West Africa. 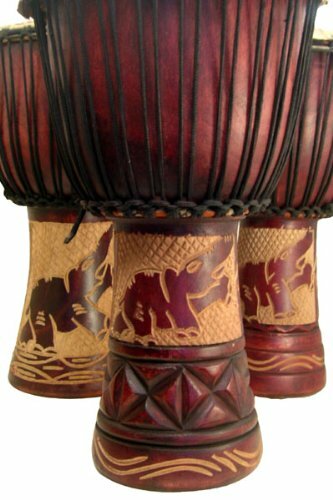 The Classic djembes are specially crafted with sound quality and playability in mind, with additional attention give to aesthetics.